The Army Reserve Officer Training Corps (ROTC), in partnership with Virginia Wesleyan University, offers students an elective curriculum in addition to coursework required for college majors. Participating students receive outstanding leadership training and excellent scholarship opportunities. Freshmen and sophomores may participate in the program without obligation to join the Army. Those who continue in ROTC, graduate as commissioned officers of the Army and have vast opportunities to specialize in a wide range of special interests called branches. "I truly believe in the ideals of the Army ROTC program, and am very proud to have 5 of our players committed to the program. These guys are truly student-athletes: they show a strong commitment to their academics & the lacrosse program, but on top of that they give tirelessly of themselves to the USA & the ideals of the Army ROTC program. Their presence & involvement with the program has definitely benefitted my team." Those who succeed in the Army ROTC program are students who excel and want something more our of their college experience. Generally, ROTC students are scholars who enjoy academic coursework, athletes who are physically strong, and leaders who have a great desire to learn and serve. "I learned about ROTC through some friends that are Cadets and I wanted to join the Army after College. I researched about the program and saw the benefits of the program. I decided it would be helpful for me and something I would be interested in. I came to Virginia Wesleyan to play for the softball team. 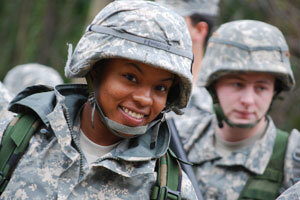 Upon graduation I plan on joining the army and continuing towards a Military Police Officer." "The scholarships great, but you also get to interact with other cadets and the cadre at ODU. The Cadre at ODU are very understanding about athletes and I really like that. Upon graduation I plan on being a firefighter for the city of Norfolk and a 2nd lieutenant in the Army National Guard. 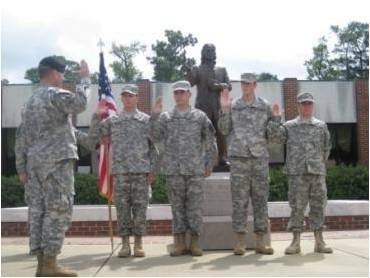 My advice to future cadets is if you want something fun, challenging, and rewarding join Army ROTC." 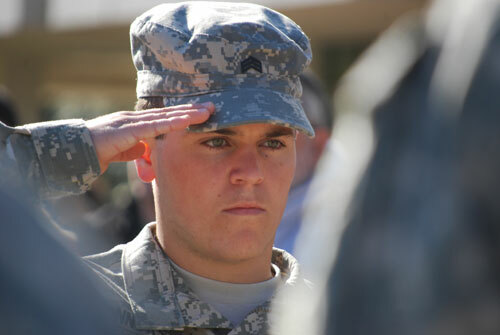 "I learned about ROTC from a family friend in California who commissioned through ROTC. I applied for and was granted a full tuition scholarship. I have grown from being involved in Army ROTC and playing a varsity sport at Virginia Wesleyan. Some of the things I've taken away from the program are leadership, time management, and discipline. I know the lessons I've learned on the lacrosse field will help me be a better Army Officer. Virginia Wesleyan is a great place for young leaders to develop and the Marlin Detachment is getting stronger with great leaders emerging as a result. Upon graduation I will be assigned to Ft. Bragg, North Carolina as a Military Police Officer." "I came to Virginia Wesleyan because I got recruited by head lacrosse coach JP Stewart, the school was in an area I like and I was interested in the liberal arts education you can receive here. Upon getting accepted into the College I knew you could attend Virginia Wesleyan and participate in ROTC at ODU, so I decided to try and do this. I applied for an ROTC scholarship because it was a great opportunity for me to get an education, develop leadership skills, and in the near future serve my country by becoming an officer in the US Army. After graduating, hopefully with a degree in psychology, I plan on entering either military intelligence or infantry." Old Dominion University ROTC is the parent group for the Marlin Company.